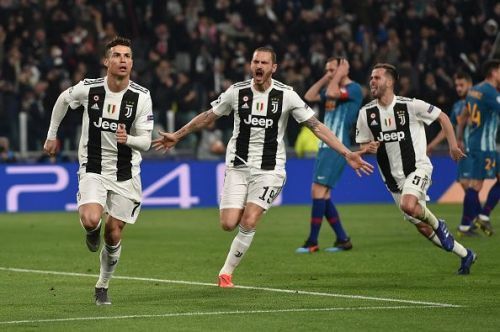 Last night, Juventus managed to pull of a stunning comeback against Spanish club Atletico Madrid in the Champions League, that saw Cristiano Ronaldo score a stunning hat-trick against his former Madrid rivals. Although Ronaldo is no longer at Real Madrid, he has played Atletico many times in the past, often producing stunning performances against them. 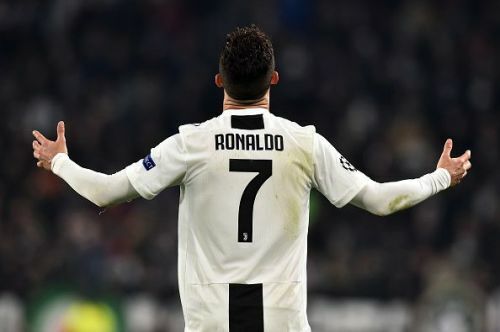 Since the 2016/2017 season, Ronaldo has scored a ridiculous four hat-tricks against Atletico Madrid, and did so again last time, this time for Juventus. And by so doing he helped his team advance to the quarter finals. In typical Ronaldo fashion, when his team needs him most he delivers, and that's exactly what he did against Atletico. Although the victory was a sweet one for Ronaldo, there was more to the match than just that. During his personal onslaught against Atletico Madrid, Cristiano Ronaldo set a number of records in the match. Before the game started, Ronaldo had scored 122 goals in the Champions League, including one goal scored during a qualification match. By the end of it, however, he stood proudly as the first player to ever score 125 goals in the history of the Champions League. Having started quite poorly by his won standards in the Champions League, questions were asked as to whether Ronaldo's powers were beginning to diminish. These questions have evidently done little to fill the Juventus talisman with doubts, and his poor form in the group stages has been cast in the shadow by his hat-trick performance against Atletico. Reaching 125 goals is a frightening achievement, and if he does decide to keep playing for many years to come, it wouldn't be improbable to see him break the 150 goal mark before he hangs up his boots.